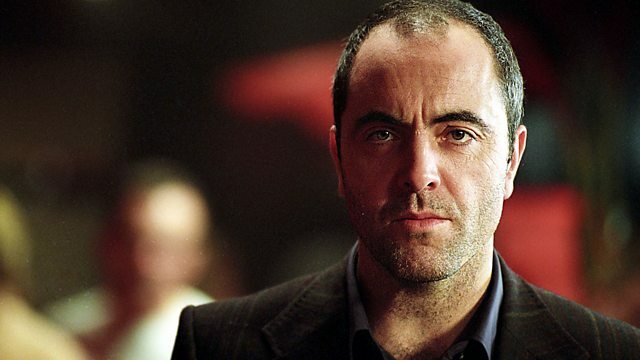 Kirsty Young's castaway is actor James Nesbitt. Kirsty Young's castaway this week is James Nesbitt. He is one of our most popular and successful actors and his long list of credits includes Cold Feet, Bloody Sunday, Jekyll and Murphy's Law. In this warm and illuminating interview he recalls his childhood in County Antrim where he grew up in a close-knit, rural community. He was the only boy and the youngest of four children and, when he was told he was 'spoilt', says he always understood that it meant the same as 'loved'. His father was the headmaster of the local primary school and there was an expectation that his children would follow him to become teachers. But James was a keen actor and says it is only now, in his 40s, that he can look back clearly and see he always felt an affinity to being on the stage. The first role he was cast in was as the Artful Dodger in Oliver. It's a character, he jokes, that has stayed with him through many of the roles he has taken on since. Luxury: A bottle of chilled Sancerre for every night. Songs of Scotland and Ireland. Sinatra at the Sands with Count Basie & the Orchestra. Laura Marling: Alas I Cannot Swim.